Thank you Vert Shock! My vertical has exploded and I am dunking consistently now! His dunks are casually featured in Slam Magazine and Bleacher Report. 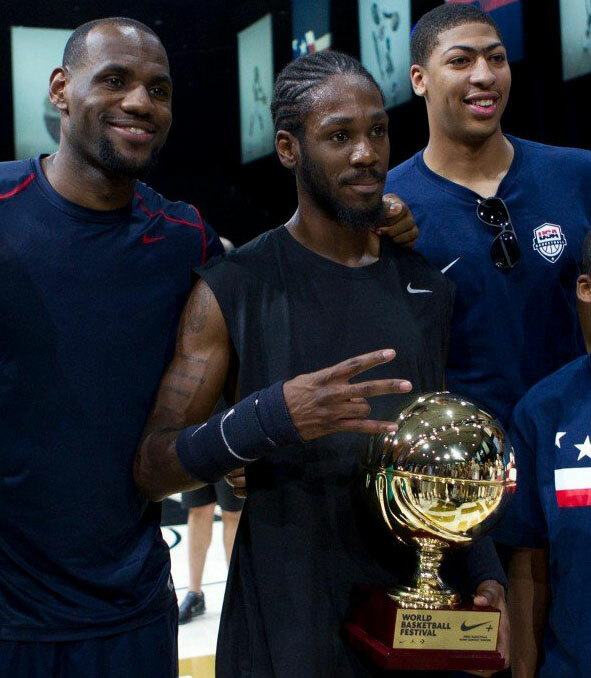 He was on TNT’s hit show The Dunk King. And I’m happy to call a him a good friend of mine. Long story short, he and I grew up together in Canada. 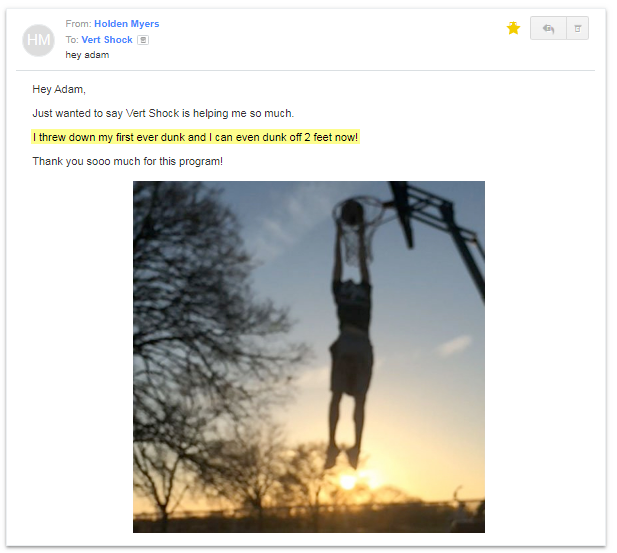 And after using and mastering the 3 simple steps in VERT SHOCK, which you’ll learn too in a moment, he has taken his dunks to a whole new level. in less than 8 weeks. Like I said, it is the best feeling in the world. 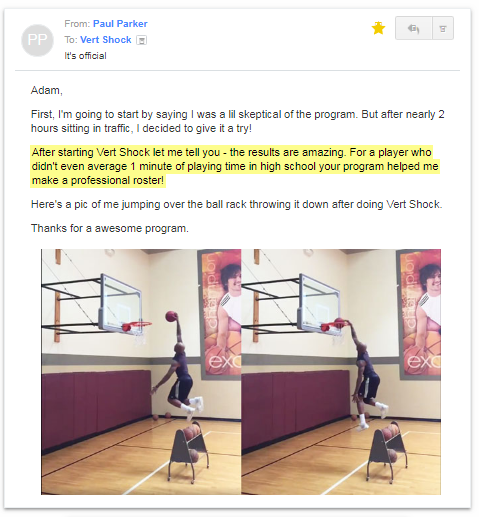 It’s a new 60-day ELITE vertical trainer, which I call VERT SHOCK. 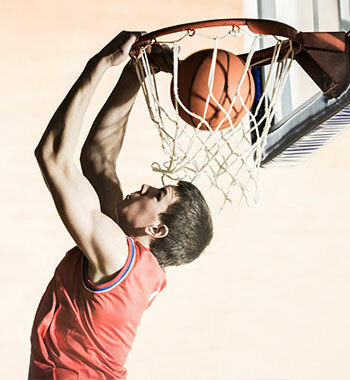 WHO has already thrown down massive dunks by following this method. And most importantly HOW you can use this method to dunk in less than 8 weeks. What Would YOU Do If You Could Finally Dunk? I really want you to think about it. Would you finally get that starting spot on your team? That’s what happened to me when I used this system for myself. When you can dunk consistently it feels like almost anything’s possible. 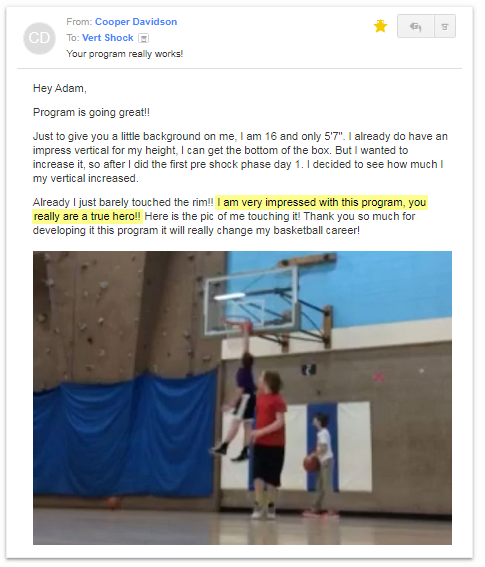 Would you be willing to take the next 8 minutes to learn about the PROVEN jump system that could change your game, and ultimately your life, forever? Do us both a favor and click the ‘X’ and leave this page for good. Then the VERT SHOCK system is not for you. Because this is an exclusive program only for those who want to be extraordinary. Do you want to dominate your opponents and stand out in any gym you walk into? 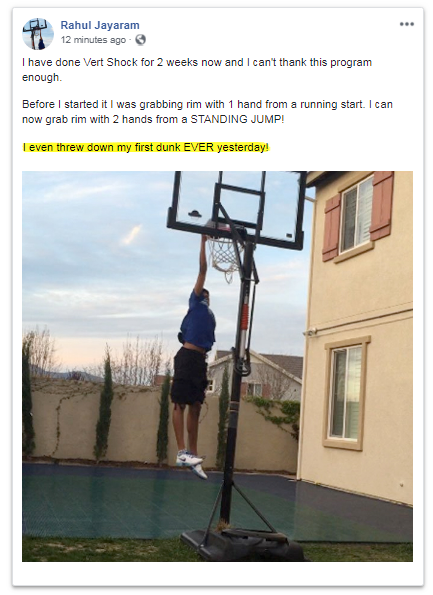 Do you want to be recognized at parties and social events as “the guy that can dunk”? Do you want to make it to the next level and make your parents proud? Do you want to be the guy everyone talks about at school? Let’s give it a go then.